It’s yet another season of Onam, one of the biggest and the most important festivals of the state of Kerala. With joy and enthusiasm, people of all communities celebrate Onam to welcome King Mahabali, whose spirit is said to visit Kerala at the time of Onam. What’s the legend behind this joyous festival? Have you ever wondered? As with any other legend, the origin of Onam differs in different regions of India. There are a couple of stories associated with Mahabali and Onam and in most cases, they’re similar with only minute differences. Here we’ll discuss these legends of Onam. According to the Vedic texts of Hinduism, the Hindu God Vishnu, the creator who in three steps defined all there is in the universe took the form of a dwarf monk Brahmin called Vamana. Vamana is the fifth avatar of Vishnu. He incarnates in a time of crisis and to restore balance to the universe by creatively vanquishing the asura (demon) king Mahabali with superfluous powers over the universe. According to Hindu mythology, the demon king sponsors a sacrifice and gift giving ceremony to all to reinforce his power after his exploits and triumph over the universe. Vamana appears at this function and when it’s his turn to receive the gift from asura king, Mahabali offers him that he shall have any riches and material wealth his heart desires. Vamana refuses all the riches he was offered and said he would like just three steps worth of land. Mahabali accepted his request and said he can have three steps of land anywhere he wants. Vamana then grows into a giant the size of the universe. He takes the first step to cover the earth, the second step he takes covers the heavens. For the third step, there was no land left hence Mahabali offers his head on which Vamana can step as his third step. Vamana steps on Mahabali’s head to send the demon king to the underworld (Patala). Vamana’s giant form is also known as Trivikrama which literally means three steps to indicate the three steps he took to vanquish the asura king to patala. However, just like any other legends, there are so many versions of this story. The Vamana legend is popular and is the inspiration to icons found in Hindu temples and sections found in Hindu Vedic texts. There are about thirty different versions of his mythology in ancient texts. Keralites knows the legend of Mahabali a bit differently. Mahabali even though he was an asura (demon) king, he was a benevolent king. Mahabali was the great-grandson of Hiranyakshipu, the grandson of Prahlada and the son of Virochana. Vishnu descended as the Vamana avatar to restore the authority of Indra deva over the heavens, as it had been taken by the benevolent asura King Mahabali. The dwarf Brahmin avatar, Vamana carried a wooden umbrella when he went to see the asura king to request three spaces of land. Even though his guru, Sukracharya strongly advised against accepting this request, Mahabali granted the brahmin’s request. By stepping on Mahabali’s head, Vamana gave the king immortality in return for his humility. Mahabali was allowed to return once every year to see the citizens of his country. For Keralites, the day of Mahabali’s visit is celebrated as Onam festival while for the rest of the country this is celebrated on the first day of Diwali. It represents the return of Mahabali to visit the earth once every year in August-September to see his people. Some ancient texts also mention that Vamana gave the lordship of the underworld to Mahabali. In a similar version, Mahabali is believed to have received all his power by defeating the Hindu gods (Devas) and taking over the three worlds. Vaishnavism mythology indicates the defeated gods approached Vishnu for his help in the battle with Mahabali, for which he refused to use violence against Mahabali since he was a good ruler and his own devotee. Vishnu instead of joining the gods decided to test his devotee. When Mahabali declared that he’s going to perform Yajna (homa sacrifices) and grant anyone any request during the Yajna, Vishnu took the Vamana avatar and used it as an opportunity to test Mahabali’s devotion. 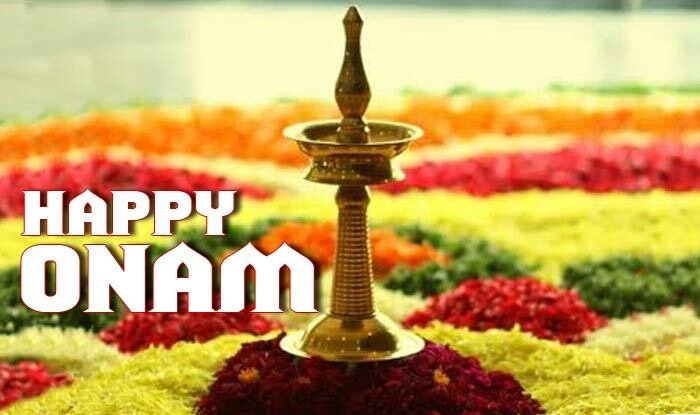 Even if there are different versions they’re all somewhat similar and conveys the same important message about Onam, that it’s a festival for prosperity and benevolence.